1.) What are your favorite holiday traditions involving the kitchen? 2.) What holiday decorating tips do you have for the kitchen? Share pictures! 3.) Holiday baking is a December highlight. What are your favorite cookie recipes? November 15 at #KBtribechat – We’re talking TURKEY! 1.) What are your favorite holiday APPETIZERS? 2.) What COCKTAILS/drinks do you recommend before or after a holiday meal? 3.) What are good WINE PAIRINGS for Thanksgiving? 4.) What is your favorite way to prepare TURKEY? Do you prefer your turkey done the TRADITIONAL WAY ~ roasted in the oven? If so, at what temperature and for how long? OR do you prefer: Brined? Spice Rubbed? Smoked? Fried? BBQed? 5.) What is your secret to fabulous STUFFING/DRESSING? Do you prefer it cooked in the bird or prepared seperate? Do you make homemade croutons/cornbread or do you use store bought? 6.) What is your secret for exceptional GRAVY? 7.) What is your favorite CRANBERRY SAUCE? 8.) What are your favorite Thanksgiving SIDE DISHES, SALADS and BREAD? 9.) What are your favorite Thanksgiving DESSERT recipes? Is it all about PIE? What desserts will be (or do you want to be) on your Thanksgiving table? 10.) What do you do with the turkey LEFTOVERS? We are thankful for our KBtribechat community and wish you a very happy holiday season. Hosting over the holidays can be equal parts stressful and enjoyable. Join GE Appliances on Wednesday, November 23 at 2 pm for a discussion on how your appliances can lend a helpful hand during the holidays. From a water pitcher that fills itself to an oven that automatically selects the perfect temp for your turkey, we’ll share kitchen solutions for taking the stress out of your holiday hosting. – What appliance do you wish you had two of in your home during holiday season? – When do you start the food prep for your holiday party? Any good tips to share? – How do you use technology to assist with holiday entertaining or cooking? – From cooking to cleaning, what obstacles do you run into every year around the holiday entertaining and what solutions have you found? – If you could have one new appliance feature during the holidays what would it be? – The last minute store run. What do you always forget to buy for holiday parties? – What tips do you have for handling post-dinner dishes? – What’s your go-to holiday recipe? Share your cooking tips. Thank Us Later – A Culinary Discussion Around Thanksgiving! Thanksgiving is one of the most stressful times of the year – and that’s not just because the whole family’s under one roof. Planning for and cooking a large meal is a major undertaking. Coordination, preparation, timing and the proper tools are everything, whether you’re hosting two or 20. For our November 16 KBTribeChat, Whirlpool Corporation and KitchenAid will co-host a culinary discussion around Thanksgiving to help prepare you for the big day! When it comes to hosting and entertaining, time is the most valuable resource. Whirlpool Corporation, the world’s leading manufacturer of major home appliances, is committed to designing appliances and innovative solutions that help homeowners make the most of every minute and focus on what matters most – spending time with family and friends. One way to ensure your Thanksgiving dinner preparations are as easy as possible is to get appliances that match your kitchen layout and meet your cooking needs. 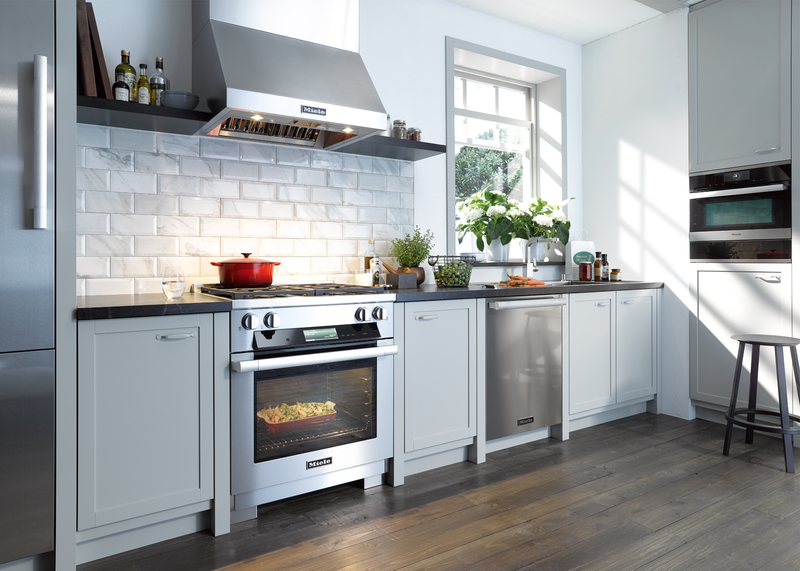 With chef-inspired design, smart features and impressive performance, KitchenAid appliances were created for those who live to cook and create. Let’s cook up some conversation around Thanksgiving! Q1: What kitchen appliance features help you prepare the perfect Thanksgiving meal? Q2. What’s the best type of kitchen layout for interacting with guests? Q3: How do you find space for cooking and storing multiple dishes? Q4. Quick cleaning solutions? Go! Q5. Where do you find Thanksgiving recipe inspiration? 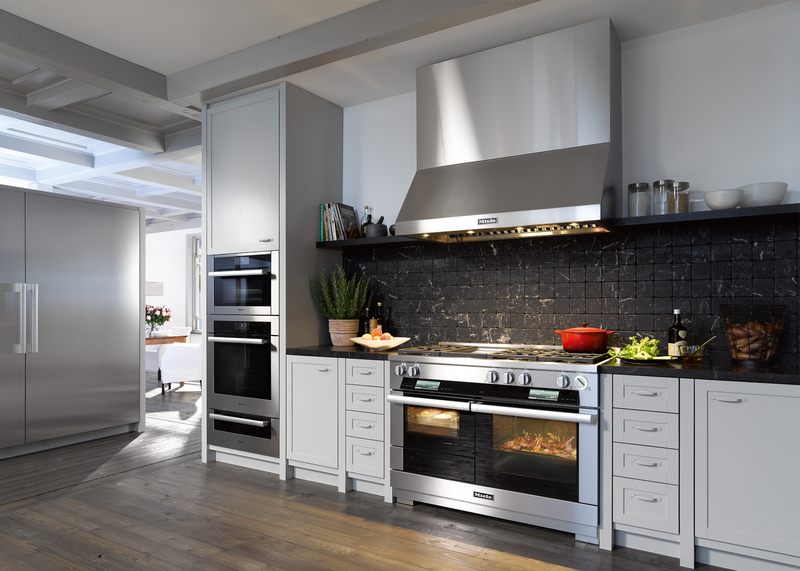 Miele is sponsoring and hosting the last KBTribeChat of 2014! 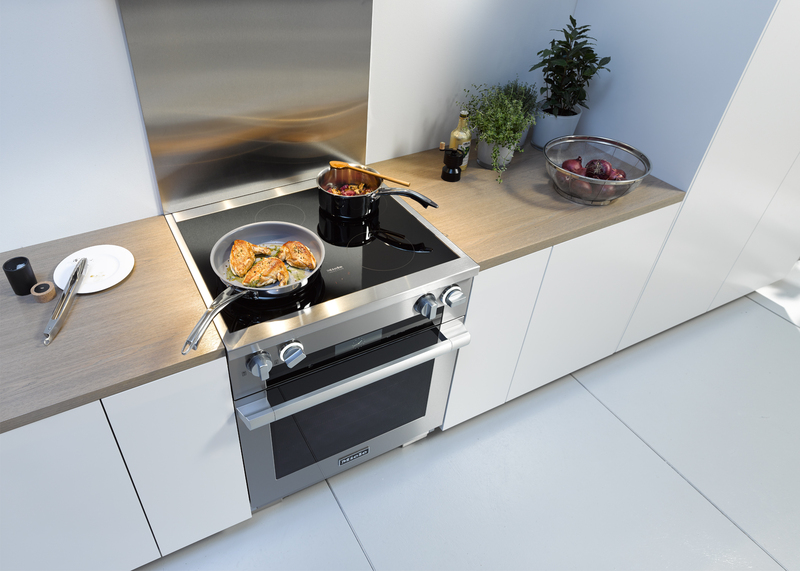 After extensive research and development, Miele launched a series of the world’s most sophisticated ranges. Join us on December 17th at 2:00pm EST as we explore this revolutionary series – offering precise performance, purposeful innovation, effortless operation and harmonious design. By the end of the discussion you will be adding one to your own holiday wish list. With 30”, 36” and 48” varieties offered in gas, electric and dual fuel, there is a Miele range for every kitchen configuration. Your culinary adventure awaits! Question 1: If you had to describe the new Miele Range in one word, what would it be? Question 2: What features do you find essential in a range? Question 3: How important is fleet design when specifying a full suite of kitchen appliances? Question 4: What is your favorite holiday recipe? Question 5: What technological advances do you find your clients requesting? For more information go to MieleUSA.com.